The Easterbrook Museum was founded in 1876 by Charlton Ambrose Easterbrook. Having inherited his father's sugar business, Easterbrook opened his private collection of curios and ephemera to the public. Successive generations have expanded the collection and the museum has grown to become one of the foremost privately owned collections of curious artefacts in the country. Here we present a small selection of our many items to amaze and dazzle you. 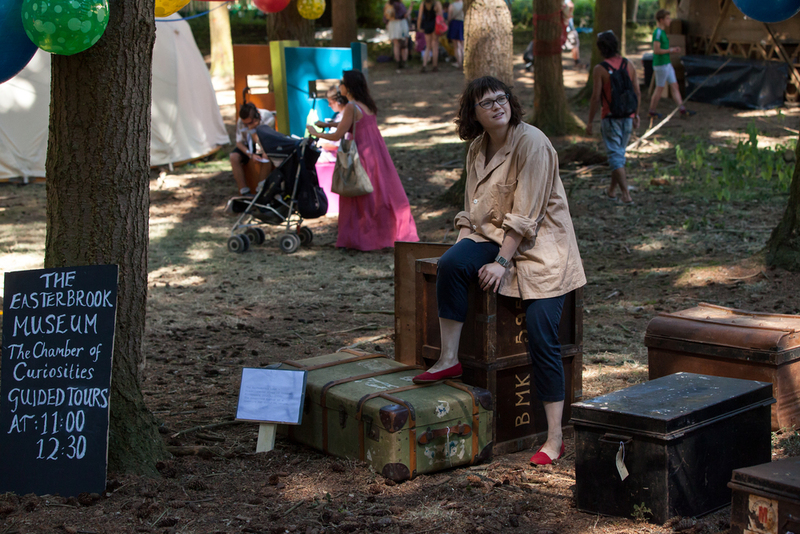 Join chief curator Lydia Easterbrook in the faraway forest as she guides you through the astounding stories that surround her family's collection. 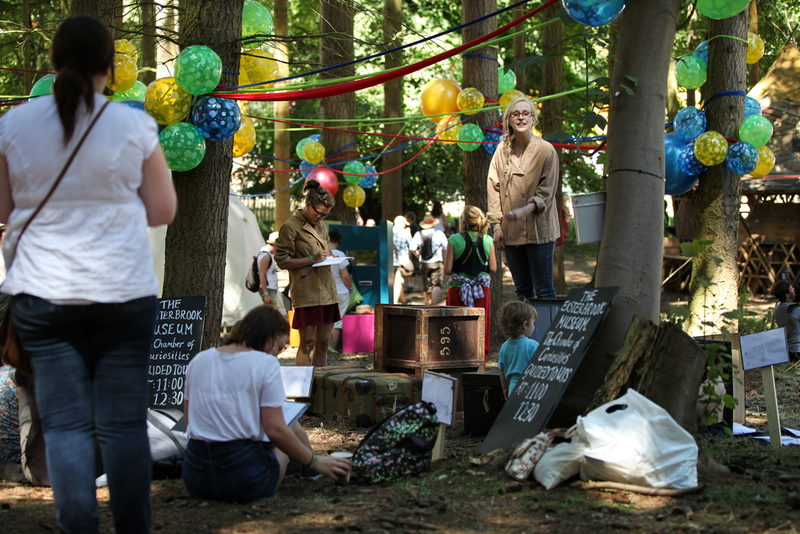 First performed at the Latitude Arts Festival, Suffolk, 19th July 2013. Francesca Moody, dir: Thomas Hescott. Helen Russell-Clark, Rebecca Tanwen and Jennifer Tan in The Chamber of Curiosities. Photo by Richard Lakos. Helen Russell-Clark and Rebecca Tanwen in The Chamber of Curiosities. Photo by Richard Lakos. Jennifer Tan in The Chamber of Curiosities. Photo by Richard Lakos. Rebecca Tanwen in The Chamber of Curiosities. Photo by Richard Lakos. Jennifer Tan, Rebecca Tanwen and Helen Russell-Clark in The Chamber of Curiosities. Photo by Richard Lakos.